Windows 10 Fall Creators Update is the latest major operating system upgrade from Microsoft that brings a lot of interesting new features and important bug fixes for stable performance. However, a number of users are reporting that they are facing broken WiFi connectivity and similar other WiFi Not Working issues such as signal dropping unexpectedly, unable to connect to a WiFi network, and others since upgrading their Windows 10 PC to the newly released Fall Creators Update. 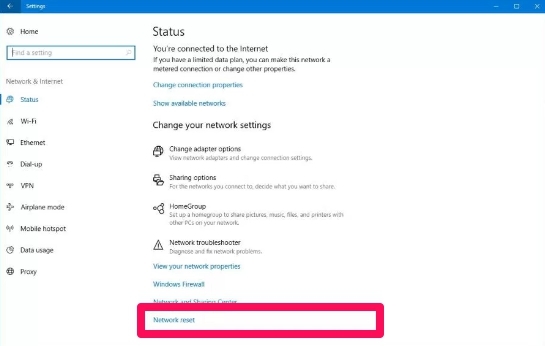 Here are four methods that you can use to fix WiFi issue on the Windows 10 Fall Creators Update computer. The Fall Creators Update is working without issues on most computers. It improves upon previous features. 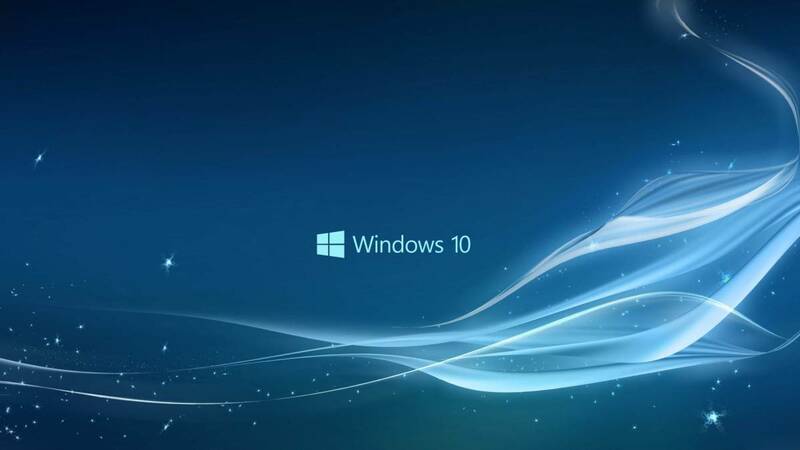 However, as is the norm with any new major software update, not all Windows 10 users are having a smooth upgrade. Some have taken to various Windows 10 forums to voice their issues with the latest Windows update. Since the initial release of the Fall Creators Update, many users have come out reporting that some features have stopped working as they used to on previous version, including in these issues is the WiFi connection problem. Common theme in these complains relates to a slow WiFi, unable to connect Windows 10 to a wireless network, networking settings changing automatically such as reverting back to the previously configured DNS settings, and other issues after upgrading to the Windows 10 1709 update. Although the main problem could lie with the Windows 10 Fall Creators Update itself, but sometimes other factors also play their part in causing connectivity issues. It could be that the upgrade has corrupted the WiFi drivers and adapter on your computer. Maybe you forgot to update to the latest WiFi driver on your device, that is compatible with the new release. Incorrect configuration could also lead to WiFi connection problem. In the following guide, there are a few tips to fix the WiFi problems after installing the Windows 10 Fall Creators Update v1709 on desktop and laptop. 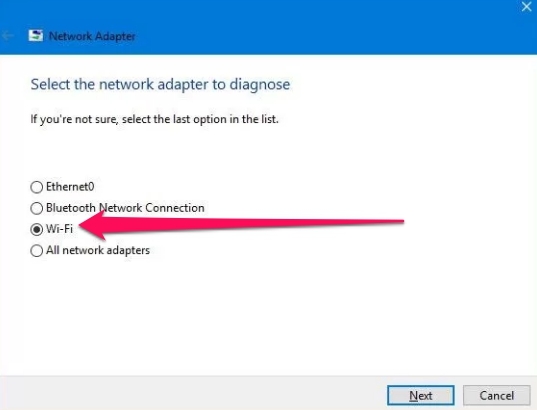 Windows 10 has a built-in troubleshooting tool in the Settings app that can be used to run WiFi network adapter diagnosis to automatically fix problems with connectivity. 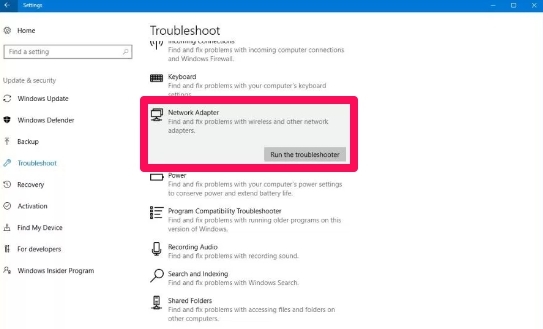 3 – Select Network Adapter, and then hit the Run the troubleshooter. 4 – Select the network adapter that you want to fix, in this case choose Wi-Fi option. 5 – Hit Next button to continue. All done. The Troubleshooter will automatically begin the scanning process to identity potential issues with the WiFi connectivity on your computer. Once done, open your web browser and connect online to see if its back to working state. If not, try the next solution. Windows 10 comes with a useful new built-in tool that works to automatically remove and reinstall all network adapters, and reset all the networking settings back their default, which can be helpful in addressing slow internet speeds or connection issues. 4 – Click the Network reset link. 5 – On the next screen, hit the Reset now button. 6 – Hit Yes and then click on Close followed by restarting your computer. Note that the above method requires reinstalling other networking software, such as VPN client or virtual switch software. In addition, you’ll need to manually reconnect to WiFi network, requiring a password to work. If that doesn’t work, try the next method. If your device is experiencing slow WiFi speeds, or issues with connecting online, it might be because it’s running on older version of the driver and needs updating. Most network adapter providers offer latest drivers on their website. You can download and install the one for your computer from the manufacturer’s official web page. Note: If there isn’t any new version available, then check if a beta version of an upcoming release can be downloaded, as it may work with the new Fall Creators update on your Windows 10 PC. 1 – Download the latest WiFi adapter driver available from the manufacturer website. 2 – Extract the drivers to an empty folder on PC or laptop. 3 – Now press Windows Key + X keyboard shortcut to open the ‘Power User’ menu and select Device Manager. 4 – Expand Network adapters. 5 – Right-click your WiFi adapter, and select Update Driver Software. 6 – Click on Browse my computer for driver software. 7 – Check the Include subfolder option box. 8 – Hit Next to start the driver installation process. Sometimes new adapter may not work properly, in that case you could try to reinstall the older version of the WiFi-adapter driver to see if it works. Try using those designed for Windows 8.1 or Windows 7, which may fix the issue for the time being until the permanent solution arrives. If nothing else works, then it may be a case of bugs inside the new version of Windows 10 update or with the network adapter. So wait until the update is released with a fix. Or as a last resort, return to the previous version of Windows 10 until the WiFi issue is resolved. It could also be worth it to check your connection settings by heading over to Control Panel > Network and Internet > Network Connections, and open the adapter’s properties. Users have reported that the TCP/IPv4 getting disabled and DNS settings getting reset after the upgrade were behind the issue. It is also recommended to restart your WiFi router or wireless extender after each method you apply, to see if that helps resolve the WiFi slow speed and connectivity problems. So which method worked on your device? Share in the comments section below.